Detailed information for the Amtrak/CTrail station stop in Windsor Locks, Connecticut. The station is about 15 miles south of Springfield and is right off Interstate 91 at Exit 42. 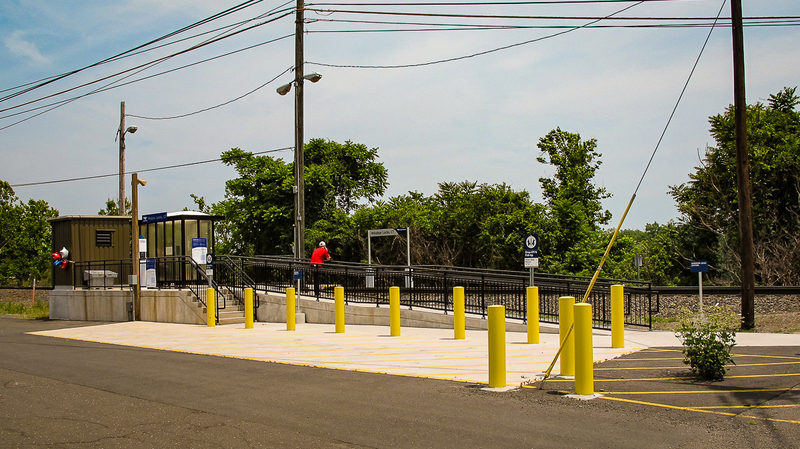 People living near Connecticut — as example, in Agawam and Longmeadow — should consider using this station instead of Springfield to save some time and money. Note | Temporary accessible restrooms have been setup at this station. Tickets | purchase your Hartford Line ticket from the newly installed CTrail ticket vending machine adjacent to the platform station. These tickets are valid on any Amtrak or CTrail train from Windsor Locks, except Amtrak’s Vermonter. There are 30 parking spaces, with dedicated accessible parking also available.